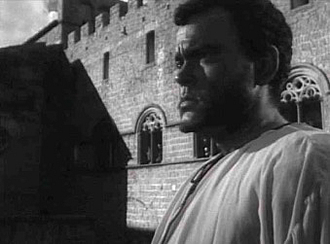 Turning to the colossal Othello of 1949, inspired by Shakespeare’s play, the director Orson Welles chose Venice, Viterbo and Tuscania as well as Morocco. 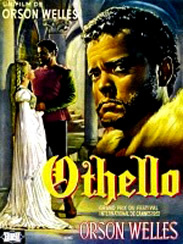 Othello, also known as the Moor of Venice, acted by Orson Welles himself, is a Turkish general in the employ of the Republic of the Doges, who falls in love with Desdemona, a beautiful Venetian noblewoman, and secretly marries her. 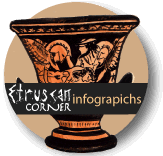 Her father, who will not tolerate such an affront, accuses him of kidnapping her, but, in the midst of these events, news reaches Venice that the Turks are attacking Cyprus, a stronghold of the Venetian republic in the Mediterranean. 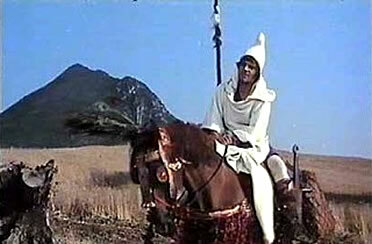 The powers that be ask the Moor of Venice to help, since he is a general and expert about their enemy. 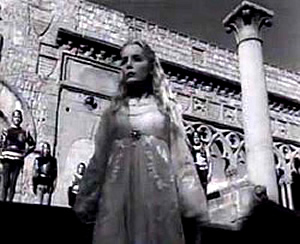 Othello arrives in Cyprus, and very happily discovers that his love Desdemona has arrived there before him, accompanied by his faithful lietentant Cassio. But these are the last happy moments for the two lovers: the devious Iago, jealous of the consideration the general shows to Cassio, and perhaps even envious of the love between Othello and Desdemona. Cassio sheds doubt on the fidelity of the noblewoman causing the tragedy that will lead to the murder of Desdemona by the Othello himself. 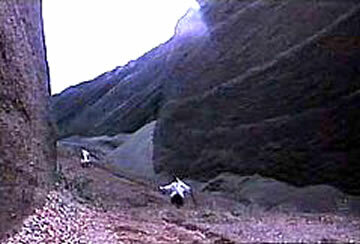 When he is made aware of the truth of the situation, he kills himself. Flier of the film directed and completely created by Welles. The shooting lasted more than three years due to lack of founds. Here the loggia of Palazzo dei Papi adopted by the director to represent a castle of the Moroccan coast. 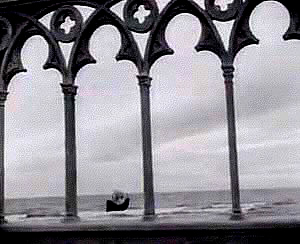 Thankfully to its techniques the director is able to create a wonderful illusion of the sea through the arches of the Loggia delle Benedizioni. Tuscia for Film Fanatics. 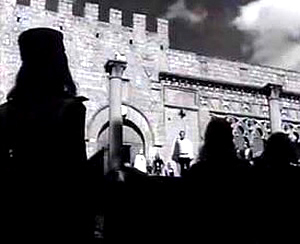 A scene of the film; the background has a suggestive view emphasized by the squared merlons of the Papal Palace. Here the residence of Othello and Desdemona in Cyprus. Welles reproduces Cyprus with the Church of Saint Peter in Tuscania. 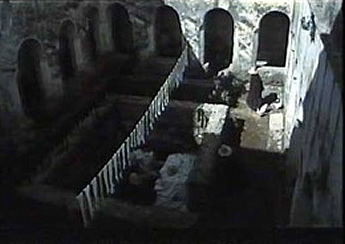 Orson Wellles chose evocative medieval buildings of Viterbo and Tuscania for many backgrounds of his film. Tuscia for Film Fanatics. The church of Saint Peter in Tuscania located on the hill once place of the Etruscan acropolis. 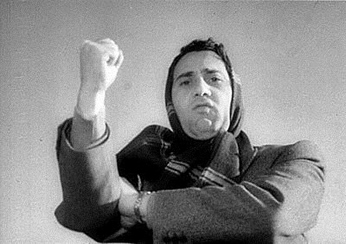 Director Mario Monicelli’s “L’Armata Brancaleone” (“For Love and Gold”), a cult film in the history of Italian cinema, has recently been restored. Made in in 1966, it recounts the improbable adventures of a shabby gang led by the memorable Vittorio Gasmann. The settings of their heroic, medieval escapades are wildly beautiful locations around Tuscia as they were forty years ago. Several Viterbese locations are recognizable and can be identified with certainty: Canino, with its castle and the bridge of the Abbey and Convent of San Franscesco, Nepi with its aqueduct, Monte Soratte, the crypt of the church of San Pietro in Tuscania, the Cimina forest, the Tower of Chia, the badlands of Teverina, Vitorchiano … The whole film is a fun and exciting trip among the historical and natural wonders of our area. A real blockbuster, collected numerous enthusiastic reviews and international awards. 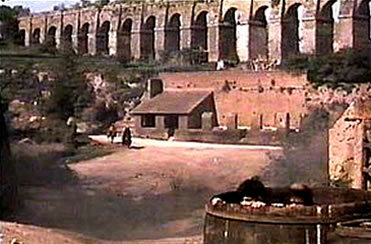 Directed by Monicelli, L’armata Brancaleone first scenes are set at the evocative arches of the Roman aqueduct of Nepi. 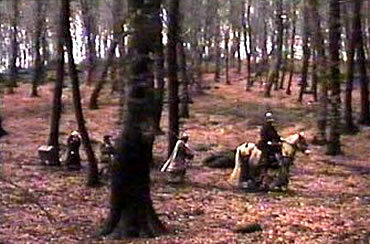 The Brancaleone troop has just set off when, at the foot of Monte Soratte, they encounter a rival knight – Teofilatto dei Leonzi (Gianmaria Volontè) – who engages in a long duel with Brancaleone. Eventually Teofilatto himself joins the merry band and shares their joys and pain. The Armata Brancaleone arrives to a curiously desolated town. Here the Armata feels free to pillage whatever they could find until the town is hit by a plague. In this image the historical town center of Vitorchiano. 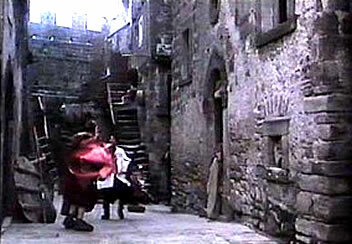 Brancaleone and his Army flees away from the town. Believing they have contracted the deadly desease they emphasize unnecessarily their desperation in the red quarry of Valentano. 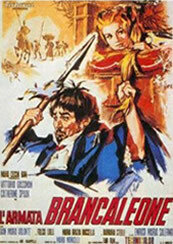 During their journey while going accross a forest, up on the Cimini montains, the knight Brancaleone saves a young woman, Matelda (Catherine Spaak), from brigands assault. Tuscia for Film Fanatics. 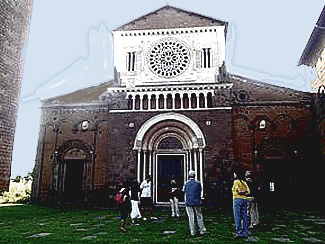 The monastic complex dates back to the 16th century and was commissioned by Gabriele Francesco Farnese. This film is set in a small town on the Adriatic coast. 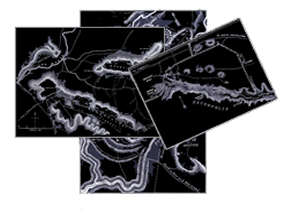 Actually, the seaside scenes were shot in Ostia and the town where most of the events of the film take place is really Viterbo which is quite some distance from the sea. 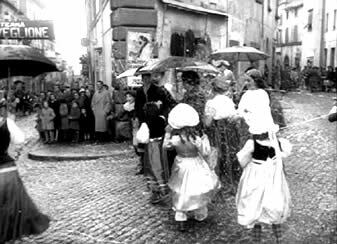 Perhaps Fellini’s choice of Tuscia’s capital was logistical given its proximity to Rome. But what matters is that today we can enjoy some areas of Viterbo as they looked half a century ago seen through the eyes of the great director. 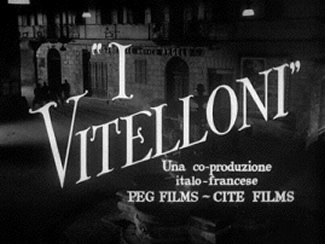 A scene from I vitelloni, this is the first movie filmed by Fellini distributed abroad. 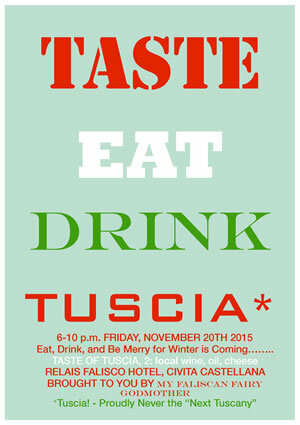 Tuscia for Film Fanatics. Federico Fellini becomes one of the greatest directors in the history of the Cinema. 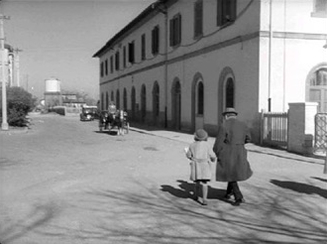 Tuscia Location of films enetered in the history of the Cinema. 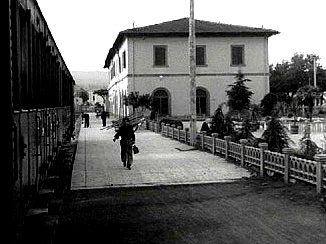 The Railway Station of Porta Fiorentina in Viterbo. Tuscia Location for Film Fanatics. The building of the Railway Station of Porta Fiorentina overlooking Viale Trento in Viterbo. Tuscia for Film Fanatics. 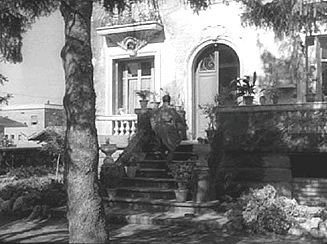 This is the house of Fausto and Sandrina, a villa in Corso Trieste. Tuscia for Film Fanatics. 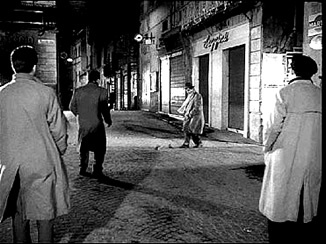 It is at Piazza delle Erbe that the five triflers have fun kicking the cans. Tuscia for Film Fanatics. It is the 1953 Carnival Celebration. Here in the picture Piazza Fontana Grande, on the left Corso Matteotti, on the right Via Saffi. 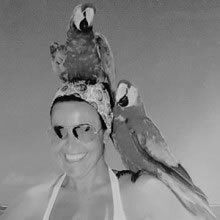 I was born "wearing a shirt”, meaning that I have a true passion for Italian fashion. I love film, music, literature and art, basically all high quality anthropological manifestations! I recommend them to everyone. In day-to-day life I am a bricoleur - doing my very best to take care of myself, my job, and my family… in as harmonious a way as possible.My Weltanschauung (?philosophy of life?) leads me to dislike and avoid superficiality, cliches, bad taste, alliances, discord, hierarchies, and oversimplified analogies.